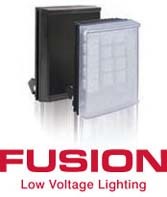 Raylux Fusion White-Light Illuminators operate from 12-24V and are designed for low voltage installations. Because LED technology has several key benefits compared to alternative technologies it is difficult to provide direct and fair comparisons. Each application is unique and dependant on the project criteria. Measuring LED technology in the field is set to become a hot topic. Measurements are crucial in the development, assessment and implementation of energy efficient light sources and installations. When measuring visible light designed for the primary purpose of perimeter surveillance, it is important to recognize that the most suitable position of measurement is the vertical surface and generally not the horizontal surface. Raylux Fusion White-Light Illuminators offer perfect White-Light for use with colour cameras. All Raytec LED illuminators are provided with a 5 Year Warranty.